On the 5th of February 2019, two APADOR-CH representatives visited the Giurgiu Penitentiary. The last visit took place in 2009; the report from that visit can be accessed on the Associations’ website. The visit started at 10.40 and ended after 17.00. The Giurgiu Penitentiary is regarded as one of the largest penitentiaries in the country with a capacity of more than 1500 inmates. The construction of the Giurgiu Penitentiary started in 1994, and it was inaugurated in the year 2000, although some parts of the penitentiary hadn’t been finished at that date. Currently, the Giurgiu Penitentiary holds 14 cells for male inmates belonging to all detention regimes: open, semi-open, closed and maximum security. Furthermore, the prison has a section for pre-trial detention. Although this penitentiary mainly serves the Giurgiu, Teleorman, Ilfov and Bucharest area, at the date of our visit inmates from more distant parts of the country were detained here, because, after its extension, the occupancy level of the prison is lower than the national average. Cell 14 is the most recent unit and was commissioned just two weeks prior to our visit; this unit was designed to observe the European standards on detention centres. The cell, which was built on the structure of two old buildings, was fully redesigned and now serves as an open regime unit, with a capacity of approximately 120 inmates. The capacity of the penitentiary, calculated by the prison administration as a quota of 4 sqm/ inmate amounts to 1513 places, in cells with 2, 4, 8 and 10 beds. However, the prison administration also stated that at this moment only 50% ensures appropriate conditions. Although no longer overcrowded, many cells still don’t fulfil the hygienic standards in force. There are 1538 installed beds. There were 1277 inmates in the at the date of our visit, detained as follows: 425 under maximum security, 606 under closed regime, 13 under semi-open regime, 123 under open regime, 38 under provisional detention, 1 woman, 1 minor, 59 juveniles and 11 under quarantine. The occupancy rate on the date of our visit was 80.24%. 80% is also the occupancy rate of the penitentiary’s employment structure. Only 426 positions out of the 527 positions included in the 2019 employment structure are filled, this creates an acute deficit in the operative, social, educational and medical areas. The amended budget for 2018 amounted 45.7 million Lei, out of which 37.9 million Lei were personnel expenditures and 6.7 million Lei expenditures with goods and services. 1.9 million Lei were own revenues, obtained by prison labour, with a 28% increase as compared to the previous year. The administration stated that it is unable to spend the entire budget for the renovation of the detention areas, as they are unable to find qualified labourers, neither inside the prison among the inmates themselves nor outside labour. In 2018 only 23% of the annual renovation and repairs plan was carried out by using direct labour. 23 cells from block E1 were renovated in 2018 – the renovations included new joinery, electrical and sanitary installations. A total of 306 cells were damaged or in need of different maintenance works. Furthermore, in 2018, the food allowance doubled from 3.5 to 7 Lei/day/inmate and the value of the hygiene products increased substantially. The administration distributes the following items to the inmates on a monthly basis: razor, toilet paper, toothpaste, comb, soap, shampoo, nail clippers, detergent, etc. According to the statements of some inmates these items are enough. As per calculation of the prison administration, the monthly expenditures for an inmate amount to 505 lei to which the employee’s salaries are added. Renovation of the food preparation area. The food preparation area is the most problematic area in the whole penitentiary. The room has old joinery, with broken windows, dirty and damaged floors, a defective ventilation system, which explains the mould on the ceiling and walls. The smell was unbearable when we visited, although a team of inmates was cleaning the food preparation area after lunch had been served. 18 inmates work in the food preparation area in 2 shifts. The changing and toilet facilities used by the inmates were in a precarious state. The different kitchen utensils for peeling vegetables or potatoes were rusty and way beyond their utilization period. The prison administration admits that the food preparation area hasn’t been renovated since the commissioning of the penitentiary in 2000. The area was just regularly painted, the pressure cookers were renewed and are now in good shape. In 2018 the prison administration submitted a supporting memorandum based on which they obtained the necessary funds for an investment for the complete renovation of the food preparation area. The building design of the investment is planned for 2019 and its execution for 2020.
dinner – potato stew, rice pudding or pasta and sauce for the different dietary requirements. The prison administration also stated that although the food allowance doubled it is still too small for three meals a day. The discussions with the inmates from different blocks revealed that food was an issue which was unanimously criticized. The Giurgiu Penitentiary does not have a prison farm but only a plot of land next to the prison courtyard, which is tended (partially) by some inmates to supplement the necessary vegetables for preparing the inmates’ meals. Sometimes the prison receives goods from other penitentiaries – e.g., cheese from Pelendava – by using a free of charge transfer system. The administration regards prison farms as no longer profitable. The cost of the vegetables or products obtained by prison labour is not competitive since the inmates must be paid the minimum wage to which the salaries of the correctional officers are added. Furthermore, the prison administration stated that very few inmates are willing to work in agriculture. There are 8 visit booths fitted with a divider, 4 maximum security booths and many seating arrangements with tables and chairs. At the time of our visit, the seating arrangements were being used. A visit lasts for a maximum of 3 hours, during which the packages are inspected and only 1-2 hours remain for the actual interaction. The penitentiary also has a “Father and Child” room which didn’t seem used, considering the stuffy air and odour in the room. The penitentiary’s representatives told us this room is rarely used. The visit area also had a booth for online family interactions and a video conference room for court hearings, this was not used to its’ full capacity due to the low number of requests. The penitentiary’s representative estimated that there are three to five times fewer court appearances, compared to the past. By introducing video conference hearings, the penitentiaries may save on fuel costs and expenditures with the security personnel. The conjugal visit room is near the medical unit, and the penitentiary’s representative revealed that it was used 3-4 a day. At the date of our visit, the room was empty. The room is equipped according to the standards in force – with a bed, a TV, a refrigerator, a bathroom with instantaneous water heater – however, the bedding was not very clean. The prison store inside the penitentiary was very well stocked, the inmates have the option to buy different food products or toiletries. The salesclerk stated that cigarettes, sweets and bottled water were the best-selling products. The prices are not displayed on the shelves but listed on the upper side of the shop window, from where these are barely visible. The inmates don’t have access inside the store, and they buy the products from a shop window. The salesclerk provided some prices at the request of the APADOR-CH team. These are the prices for some of the products: apples – 6 lei/kg, small Zuzu yogurt – 3.80 lei, Jakobs coffee – 14.80, bottled water Dorna 3.90/ 2l bottle or a different bottled water brand 2.60 lei. Sweet peppers – 14 lei/kg, large Amigo instant coffee – 17 lei. There is an additional aspect which needs mentioning – several people were smoking at a table inside the shop during our visit. Moreover, we noticed that there was smoking in numerous places on site, from the gate to the inside, on the hallways of some blocks. The penitentiary only has 2 hired general practitioners out of 7 planned positions and one resident who used to practice at the penitentiary but is now attending a residency program in Bucharest. The dentist, the third health care professional hired, suffered a car accident while driving from Bucharest to the penitentiary and is now on extended medical leave. One of the two general practitioners is also the Head of the Medical Unit. Furthermore, there are 13 nurses, who work in shifts: 1 hygienist, 1 dental nurse, and 11 registered general nurses. 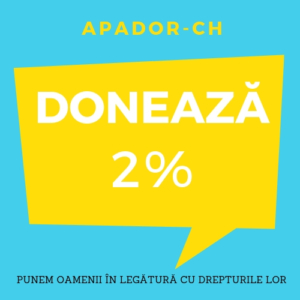 In November 2018, 1 candidate passed the application contest for the position of psychiatrist, but up to the date of our visit, the appointment from the Romanian Ministry of Justice had failed to arrive, despite the acute need for this medical specialty. It will be the first time in its history when the Giurgiu Penitentiary has a psychiatrist, although most of the inmates’ health issues are related to mental health. The doctor’s office is scarcely equipped, the doctors and nurses complained about the improper working conditions, and about the fact that implicitly the inmates do not benefit from standard consultation conditions. The doctor offers approximately 40-60 consults a day, either in his office or in the different cell. 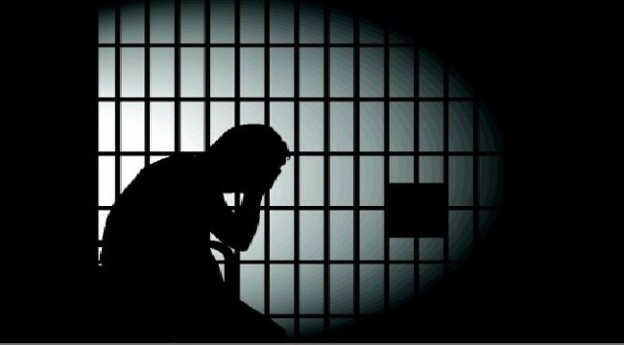 Most illnesses have to do with mental health (over 600 inmates, out of which 318 medicated), followed by respiratory illnesses, chronic illnesses, and diabetes (12 insulin dependent inmates, 37 under specific treatment). 10 inmates undergo treatment with methadone, 29 inmates have HIV and approximately 300 have hepatitis. The penitentiary doesn’t screen for any transmittable diseases and relies on the statements of the inmates on their health. 60 inmates are under treatment with Interferons. There are regular scabies outbreaks. The penitentiary has stopped offering condoms to prisoners for many years (at least since 2012 as one of the nurses recalled), although the prison director admits that sexual assaults occur in the cells. Once a week, the inmates in need of a specialized medical exam are either taken to the psychiatrist or other medical specialists (transports of 3-10 inmates are organized) at the local county hospital. As the specialists at the Giurgiu County Hospital are in limited numbers, most of the inmates are taken to the hospitals in Bucharest: Floreasca, Bagdasar or the Rahova Penitentiary Hospital. The doctor claims that there have been no issues with ensuring the medical treatment for the inmates; however, there are delays in receiving the subsidized treatments due to the Romanian E-Purchasing System. That is why it’s preferable that the inmate’s family brings the treatments and if needed the medical staff allows this practice. In 2018 the drug products for the inmates amounted to 254,000 lei. Upon request and at their expense some inmates were occasionally examined by private doctors. In 2018 one inmate committed suicide and other four inmates died of natural causes. The penitentiary only has 2 hired psychologists (as opposed to the 7 planned positions), 2 social workers (as opposed to the 3 planned positions) and 8 teachers (as opposed to the 10 planned positions) out of which 2 are on maternity leave, and 1 holds a management position. The penitentiary also works together with volunteers who carry out different projects, but the staff is insufficient for such a large number of inmates. The projects carried out in 2018 reveal that a meagre number of inmates participated in the various educational or community projects (a few tens/project). The penitentiary representatives stated that there are tuition programs for the inmates in place, carried out together with the County Agency for Employment, where the inmates can receive a professional qualification as hair stylist, under-cook, plant breeder. However, few inmates qualify for these professional qualification programs, as they don’t have the minimum educational level required (lower secondary education). The penitentiary also offers alphabetization courses at primary educational level (grades I – IV) and 40 inmates attended in 2019. It also tried to set up lower secondary education classes (grades V-VIII), the Giurgiu School Inspectorate denied their establishment. There few are workplaces and the current workplaces don’t seem to be very desired by the inmates. The penitentiary’s administration estimates that only 20 inmates out of 100 work. The penitentiary has a contract with RILUG from Lugoj, for sewing footwear – the inmates work in their cells. There are several other workplaces at the greenhouses, for renovation works, at the furniture workshop, for diggings and the manufacturing of photovoltaic panels. In 2018 inmate labour brought the penitentiary earnings of 1,950,000 lei, the money was spent on repairs and for the purchase of a patient transport vehicle for inmates who undergo medical exams outside the penitentiary. There aren’t many differences in appearance between the different cells; all the 5 blocks have similar arrangements; these are connected to form a semicircle with the educational and visitation unit in the middle. The cells have a video surveillance system, which is old and incomplete, without any central dispatch or electronic blocking systems. The cell doors are still opened and closed by the employees themselves with a key, which makes the lack of personnel even more acute – there is 1 corrections officer for every 15 cells. The prison director hopes that the funds for a redesign of the video surveillance system will be approved in 2019. After the law on early release came into force, the cells with 6 bunk beds were transformed into cells with 4 bunk beds and thus managed to observe the standard of 4 sqm/inmate. Before this law was adopted, the penitentiary had approximately 1400 inmates, then the number reduced to 1100; meanwhile, however, more prisoners have been transferred here from prisons regarded as overcrowded. In most cell blocks the telephones were moved from the hallways to the cells, which enables inmates to use them without the guardians’ permission, at any time until 06:00 PM every day, within a limit of 30 minutes daily. This proved beneficial both for the inmates and the prisons’ employees. The penitentiary has five walking courts, these are partially covered; the maximum-security units have walking cages set up on the roof of one of the buildings. Cellblock E11 also has a protection room, equipped with soundproof walls and vandalism-proof lavatories. The penitentiary’s representative said that this room is barely used, but very useful for inmates who pose a risk of self-harming. All old cells have a “tableware room” where all the tableware is kept and starting with last year this was equipped with cooling shelves where all the inmates can store the food products they purchase or receive. Cell 10, of approximately 20 sqm was in good condition, clean, furnished, with a vestibule, bathroom and 4 beds (two bunk beds), closets and a TV set. There were only three inmates in the cell, a Norwegian citizen and two Romanians. At the time of our visit, the Romanian inmates were in the walking yard. The Norwegian citizen complained that he didn’t receive the 6 compensation days to which he is entitled to for improper imprisonment conditions, that the food was terrible, and that he filed numerous complaints to the judge for the supervision of the deprivation of liberty about numerous aspects of the incarceration conditions, but he never received an English translation of the decision. Furthermore, he requested the transfer to a prison in Norway, but it was denied because the damages, in his case, hadn’t been paid yet. The inmates in cellblock 8, are the ones working on footwear. Only one inmate was present during our visit in cell 27 (out of 28), a cell of approximately 20 sqm, with a clean appearance and only two beds out of 4 were occupied at that time. The inmate stayed in his cell and didn’t go for outside exercise because he had a cold. He stated that he saw a doctor after four days and that he feels relatively fine. He complained about the food, which was “awful”. He added that the prison personnel are kind to the inmates, that the daily hot water schedule (from 11 AM to 12 PM) is plenty and that the received toiletries are sufficient. Cell 47 (out of 58) has approximately 9 sqm, doesn’t have a bathroom but only a toilet and a sink which are not separated by anything from the beds. The prison director stated that the rooms were initially equipped with separators, but the inmates destroyed these. There were two inmates in the visit room, a Turkish citizen and a Romanian. The window was open, and the room was quite chilly. Both inmates said that they keep the window open because they cannot stand the malodorous toilet. They sleep, eat and use the toilet in the same cell. The Romanian inmate complained that the prison store is overpriced, the food products sold are bad, and that nobody engaged him in any activity program in the past 4 months, he has been here. He claimed that his hands are handcuffed everywhere he is taken, including to the showers, and that nobody tells him why. He told us that he submitted a complaint about this with the delated judge, but to no avail. The Turkish citizen complained about a tooth that broke a few weeks prior, which constricts his eating and about the fact that he was waiting to be taken to the dentist for the past 15 days. Cell 13 also has 9 sqm, with a single inmate E.R. who seemed to be in a delicate mental state. He said that he’s been detained in the Giurgiu Penitentiary for a year, although he is from Bacau, and complained that his family is too far away and that he hasn’t seen them in 4 years. Because the cells in cell block 9 don’t have any showers, the inmates are taken to a communal shower room twice a week; this room is at the end of the hallway. There were a few inmates in the walking cages on top of the building – although it was quite cold outside. Some of them complained about the food quality and about the fact that there are no TV sets in the cells. Another inmate said that he took part in a training course in 2018, but he couldn’t recall what the course was about and what he learned from it. During our visit in cell block E9 we were accompanied by a special interventions team who were fully equipped to intervene and who waited on the hallways. The penitentiary’s latest cell block, used for the semi-open regime consists of two buildings, one with 2 stories and 1 with 1 story. The cells in this unit are fitted to modern standards. At the date of our visit only building B, with 2 stories was occupied. The buildings have one dining hall on the ground floor, and the rooms have 2, 6, 8 or 10 beds, depending on their size. The cell sizes vary from 10 to 40, 47 sqm. The cell block has a total of 118 places, but only 200 installed beds and 123 inmates. The beds come with a metal framework and two drawers for storing personal items, thick spring mattresses, closets for each inmate, bathrooms with vandalism-proof showers, sinks and toilets. The walls are covered with plaster walls, and the general appearance is pleasant, clean, although some cells seem crowded because of the too many beds. that they don’t receive any compensation days due to the good imprisonment conditions. The judge for the supervision of the deprivation of liberty estimates that she handles the most significant number of cases in the country – approximately 200/month. She added that the number of complaints about the prison conditions has decreased, now all the complaints refer to early release and objections regarding the number of compensation days. The inmates now request compensation for the days executed under improper detention conditions for previous convictions. Most of the complaints against the prison administration pertain to delays in medical services, the hot water schedule, having less than 4 sqm/ inmate or denial of conjugal visits. APADOR – CH appreciates the efforts made by the prison administration and the Romanian Prison Administration to improve the incarceration conditions of the Giurgiu Penitentiary and believes that the general condition of the penitentiary reflects these efforts. Some aspects regarding the hygiene of the detention areas need to be solved, such as the unrenovated cells and the food preparation area which needs urgent repairs. The hot water schedule for cells containing more than 3 persons should be extended to more than one hour a day, so all inmates have enough time to shower. The association would like to remind the prison administration that Law No. 15/2016 bans smoking in closed areas and is also applicable both inside the penitentiary and for its employees. The Association recommends that the Romanian Prison Administration undertake more efforts to hire qualified personnel, to decrease the staff deficits of doctors, psychologists, social workers, teachers, and essential care personnel for treating illnesses which exacerbate under conditions of imprisonment (especially mental health conditions). Furthermore, the Romanian Prison Administration together with the Romanian Ministry of Justice should devise an effective system for using the inmates as workforce and should try getting them more involved so that during their detention they have the chance to learn a profession and make a contribution to their upkeep. Additionally, both the prison administration and the Romanian Prison Administration should intensify their efforts to set up secondary education schooling programs (V-VIII), so the inmates’ level of education is no longer an obstacle in obtaining a professional qualification in prison and a workplace after the release.